Rev. 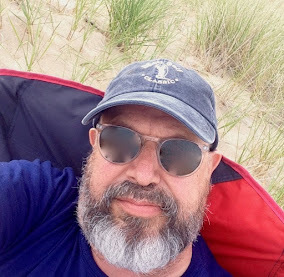 Joseph Abner, down at the area UU church, announced yesterday that he had discovered what the "nones" are looking for. The "Nones" are the name religious leaders have given the almost one third of Americans who say that they have no religious affiliation. Religious professionals have been engaged in intense and sometimes acrimonious discussions about what will attract these folks away from the lives back into the church. My good friend, Rev. Jennie Barrington, tells a story about Pandora, the internet radio service. I will let her tell it. I love Pandora! I began with a Colin Hay station. His song that just stopped me in my tracks is called, "Waiting for My Real Life to Begin." It's very prayerful. I mixed in a lot of Eddie Vedder. The song of his I love is called "Rise," also very prayerful. But over time I hit "like" for so many different songs, and added in so many different artists, that I never got to hear Colin Hay nor Eddie Vedder anymore, unless I listened to that station for several hours. So then I created a new station from scratch. What if a church eliminated all of its centralized communication functions, beyond its webpage? No newsletters, paper or electronic, no advertisements. The congregation relied entirely on members' social media and live word of mouth to spread the word about activities, events and ideas. They would need a webpage to refer people to, but the responsibility for the presence of the church in the community would lie with the congregation. Internal communication integrated with external communication. Every person "U-vangelizing" in their personal network. Every UU church or congregation shall possess an attractive building which is completely accessible, well-maintained and well-cleaned and on the cutting edge of environmental sustainability. Every UU church or congregation shall have at least two, maybe three, full-time religious professionals -- a minister, a lifespan faith formation director, and a music director -- each of whom is well-paid at a middle class level in the community they serve. Every UU church or congregation shall have additional members of the staff, each of whom is equally well-paid; it is a matter of justice. Every UU church or congregation shall go above and beyond the law in providing benefits to all employees, particularly health insurance and retirement benefits. Every UU church and congregation should give about 4% of its total budget to the UUA, and additional funds to the District and/or Region. Yesterday, the Supreme Court crippled the Voting Rights Act of 1965. Last night, the Texas State Senate adopted a draconian anti-choice bill over a valiant and heroic effort of one Senator, Wendy Davis, to filibuster the bill, a filibuster which culminated in an extraordinary People's Filibuster as thousands of citizens tried to stop their legislature from doing such harm. Today, we are hours away from more Supreme Court decisions which will either affirm marriage equality for all, or place it further away. The Voting Rights Act was the legal response to the Selma campaign of 1965. It carries the sweat and blood of Unitarian Universalists; the hundreds of UU ministers who went to Selma, the Detroit laywoman Viola Luizzo and the Rev. James Reeb who were each killed in that struggle. A group of Texas Unitarian women attorneys played a leading role in the Roe v. Wade case, which made abortion legal. Rev. Lillian Daniel was the theme speaker for the UUMA Ministry Days. She's a UCC minister, an author and a great presenter. She had a lot of fun with us, the UU ministers, teasing us about our unhealthy anxiety about John Calvin and how he ruined everyone's life. She was clever, bright, charming and very funny. She deftly lampooned the shallow, self-centered "spirituality" that we hear these days, about walking in the woods, seeing God in the sunset, yadda, yadda, faces of children and so forth. Religion, she said, was what was needed - religious community through which difficult wisdom passed, wisdom that might be hard to hear. When Spiritual But Not Religious is not enough, then Religion itself was needed. So how do we as religious leaders convince people of that. I have been watching my partner, Sue, develop her Twitter presence and I think that her experience would be useful for UU ministers, and others, who want to have a Twitter presence but don't know how to go about it. Her situation: She is the CIO of a large Academic Medical Center. She has several hundred people in her organization. She also has a national presence among other people who do her kind of work. In that way, she is like many ministers who have local congregants and colleagues across the country. 1. She defined her Twitter presence in her profile; her profile lists her position AND her passion. For her, her passion is connecting to young people entering her profession and starting their careers. Twitter is an excellent way to make contact with that group of people. Leaving today for Louisville for 2013 UUMA Ministry Days. Our theme speaker this year is Lillian Daniels, the author of "When Spiritual But Not Religious Is Not Enough". If you have been following this blog, you would know that I am not sure I agree with the premise of her book. Maybe "being spiritual" is enough for a person, while "being religious" is really good for religious institutions. I will report back on what I think. It's the end of the church year in UULand. Don't ask why our year ends in June, but it does. Something to do with the academic year, I am told. That may have been the original reason, but I also think it is the stale hot and humid air that gathers in old New England churches during the summer. The ministers are tired. The religious professionals formerly known as RE Directors are very, very tired. The musicians are tired. Congregational leaders are tired. The hardy go to GA for one last UUpalooza for the year, and then it's blessed withdrawal. Reading, rest and relaxation. Everybody thinks it's terrible, unwelcoming, unfriendly and unserious. The word of the day is "sustainability". 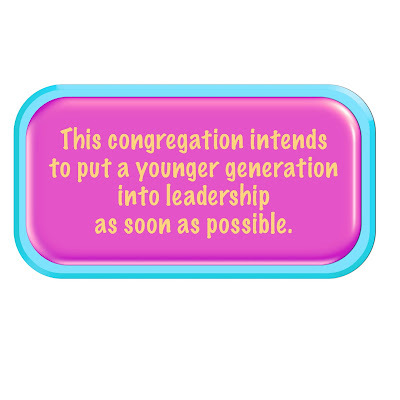 A while back, I proposed that congregations consider adopting the sentiment above to name for themselves their intention toward a generational transfer of leadership. I meant it then, and I still believe it is crucial. There is a lot of talk, though, about generations in church: the Boomers, GenX and the Millennials. What is becoming clear to me, though, is that Generational analysis can turn into Generational Labeling. It becomes part of the great identifying machine of culture: this all pervasive borg that decides that what is important about you is X (gender, race, age, body shape, sexual attractions and practices, looks, whatever) and that therefore, you are X. And like every form of socially determined identity, it has usually has a payoff of some type, along with a lot of dues to pay. 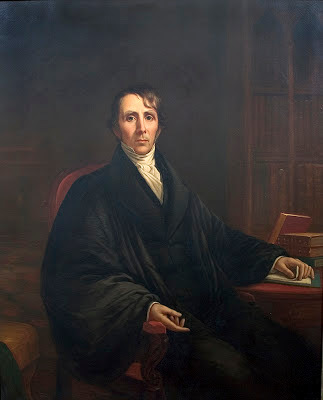 William Ellery Channing's sermonic prose poem defining, and honoring, the free mind is a prophetic call to all people to reach for freedom. Possess yourself as the first step toward living a life of virtue, compassion and spiritual growth. It is an overlooked classic, its wisdom hidden behind 19th century prose. Yet, in its way, it speaks to all the internal and external forces that bend us toward passive acceptance of the status quo. It was first in a sermon. I have included the sermon text in italics. The red letters are the portions that have been edited into a Responsive Reading in Singing the Living Tradition. My commentary is indented. What I observe in your recent ponderings on theology and in your case study of Peter's short homily is a move away from a cosmovision. I read you as saying, the Christian way of doing theology based on "idea of god" and an "idea of the human condition" resulting in an "idea of salvation" by "an idea of a witnessing church" is impossible for UUs given our lack of consensus relative to God. Can we not make even the basic statement witnessed by Carl Scovel that "the heart of the cosmos is good intent." That the creation in which we live and move and have our being is (created) good, and we are called to live in awareness that we children of that goodness? Clyde, I am saying that the "Christian way of doing theology" is impossible, but for a different reason. You think I am saying it because "UU's ... lack...consensus relative to God." In response to one of my earlier post, Rev. Peter Morales, the UUA President, sent me a copy of a sermon that he gave in 2012 to the Arlington, Virginia congregation. I suspect that he gives versions of this sermon in many of the places that he speaks. It's called Beyond Belief. Here is the heart of it. Both the Left and the Right engage in fantasy politics of insurrection. Someday, they imagine that they will be the vanguard of the People who have risen up against the government of the United States of America. That the People now appear to be apathetic sheep is a problem, of course. They appear to be not very interested in revolution, and not hungering for a vanguard to lead them in one. But the magic mechanism that will turn today's sheeple into tomorrow's heroic freedom fighters is government repression. So a few ideas clump together into one ideological fixation. The actions of the government right now are laying the groundwork to repress the coming Revolution; the people must be warned; and present actions, which may be reasonable, must be opposed to preserve the future feasibility of the great revolt. I am endorsing Tamara Payne Alex for UUA Moderator. We need to pass the leadership of our Association to younger leaders. I do not have extensive experience with either candidate for Moderator. I served on a small task force with Jim Key, and he is a wise and gracious man. Our group did all our work on the phone, so I have never been in his presence. I have known Tamara for a long time; she was on the MFC when I met them. Most of us do not have a lot of experience with either candidate. The essential thing to remember is that both Humanism and Theism were valid and authentic responses out of American Protestantism to the crisis that Modernism brought to Christian orthodoxy. 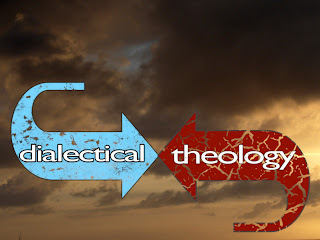 If Christian orthodoxy was not true and factual, what could one do? The theologically realists went to Humanism. 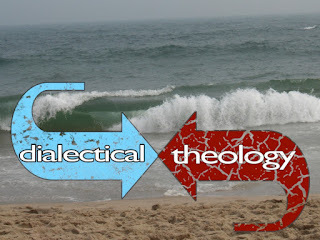 The theologically non-realists went to theism, including creative reinterpretations of Christianity. The fundamentalists denied modernism altogether. The differences are less than what they seem and certainly less than what late 20th century people thought. Back in 2011, Rev. Marilyn Sewell, published a post on Huff Post entitled "The Theology of Unitarian Universalists". In summary, we Unitarian Universalists do have a theology: We believe that human beings should be free to choose their beliefs according to the dictates of their own conscience.We believe in original goodness, with the understanding that sin is sometimes chosen, often because of pain or ignorance.We believe that God is One.We believe that revelation is ever unfolding.We believe that the Kingdom of God is to be created here on this earth.We believe that Jesus was a prophet of God, and that other prophets from God have risen in other faith traditions.We believe that love is more important than doctrine.We believe that God's mercy will reconcile all unto itself in the end. Peter Bowden recently asked for "a reality check" on this formulation over the UUGrowth Lab Group Page on Facebook, and the comments are pouring in.